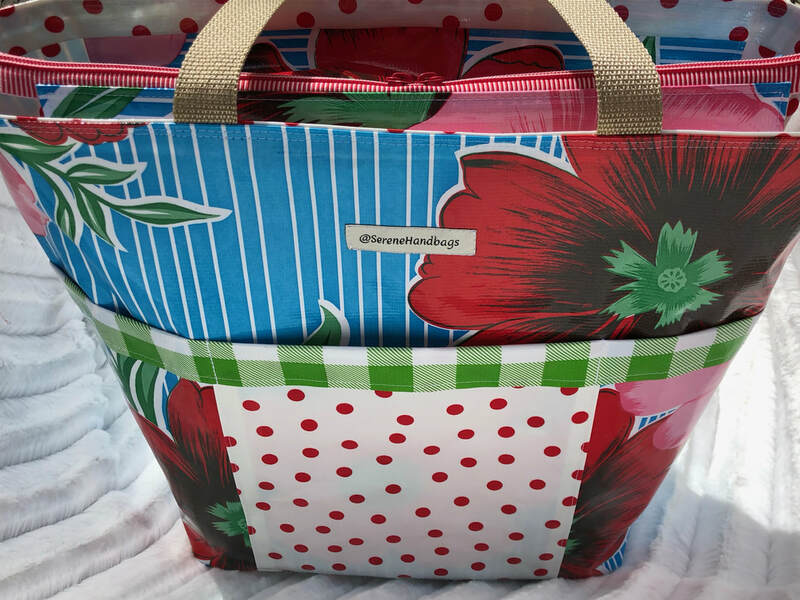 The Market Tote is by far my most popular item! 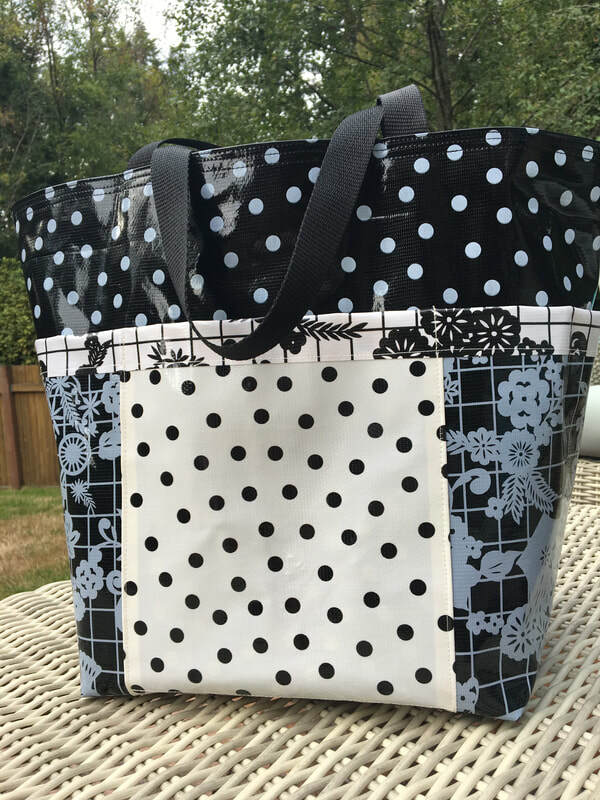 In the beginning I used Kelly McCants' Market Tote pattern which is fabulous, versatile and great for shopping, traveling, workout classes, anything. It is truly a stuff-it-all tote with side & center pockets and a deep opening. Then I took the pattern up a notch by adding a zippered portion. The zipper section can set inside the bag giving it an angular look, or pulled up and zipped closed for added space. Sturdy stitching and outside pockets for cell, keys, what have you!